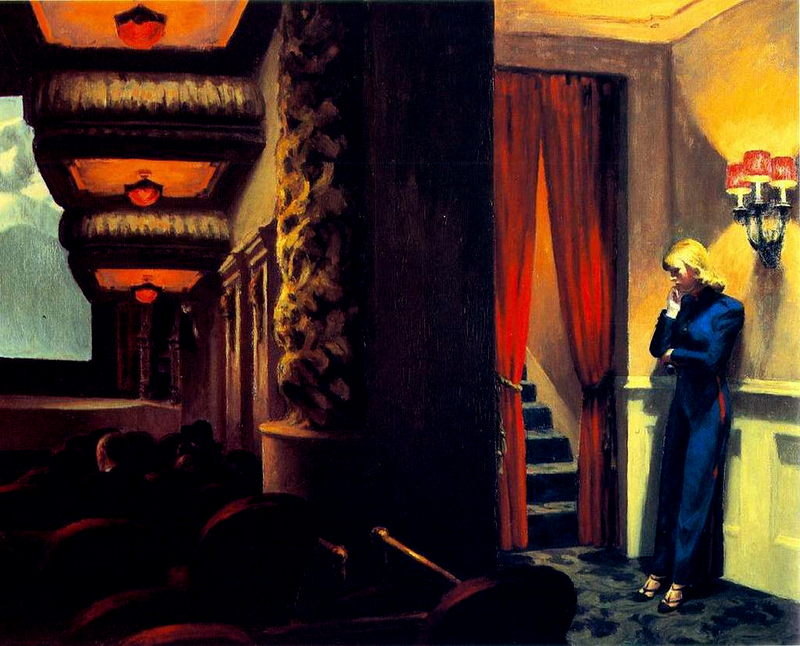 On September 13, 2005, the Amon Carter Museum in Fort Worth presented Edward Hopper in Four Acts, a small exhibition that offers a rare opportunity to see together five works in four media by one of America ’s great artists. The installation presented the Carter’s recent acquisition Home by the Railroad (charcoal on paper, ca. 1925–28), in addition to two prints, one painting and one watercolor. Known for his paintings of empty streets, storefronts and solitary figures in urban settings, Edward Hopper (1882–1967) was also an accomplished draftsman, printmaker and watercolorist. This installation focuses on the motif of American vernacular architecture, one of his other great subjects. 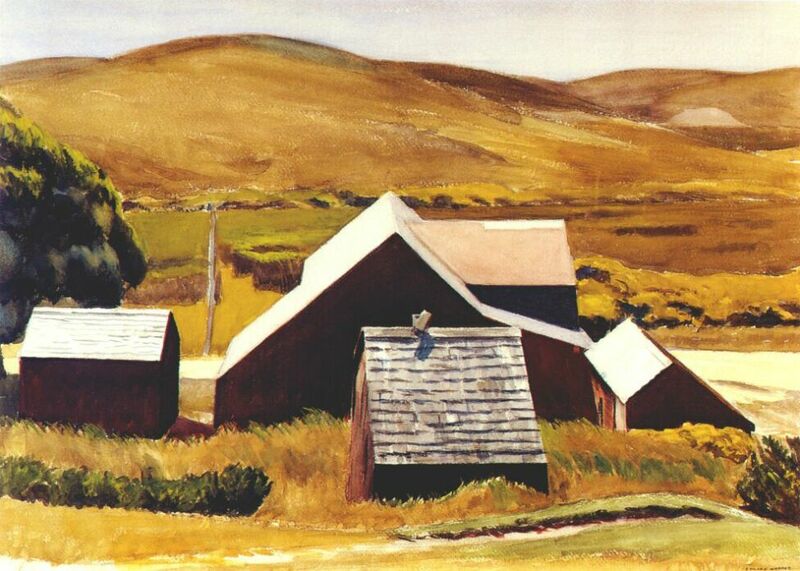 and Roofs of the Cobb Barn(watercolor on paper, 1931). All of these works demonstrate Hopper’s mastery of capturing light in four different media. 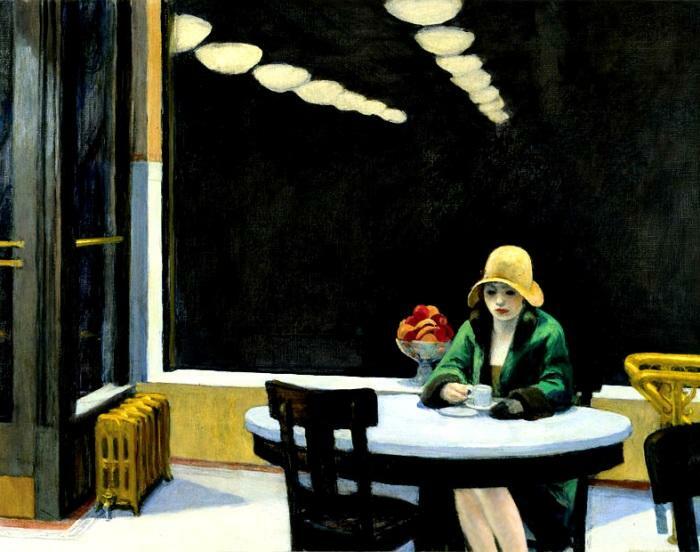 The classic works of Edward Hopper (1882–1967) capture the realities of urban and rural American life with a poignancy and beauty that have placed them among the most enduring and popular images of the 20th century. This exhibition of 48 oil paintings, 34 watercolors, 12 prints, and two ledger books, arranged chronologically and thematically, revealed Hopper as a creator of compelling images who produced remarkably subtle and painterly effects in both oil and watercolor. It also examined how his images were seen by his contemporaries in the middle decades of the century. 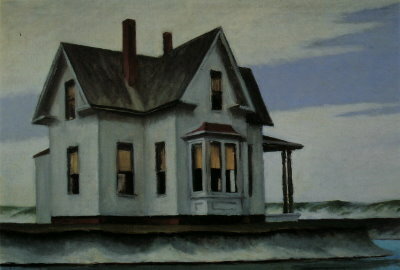 From the late 1920s, Hopper was recognized as one of the most profound American artists, praised for his mastery at painting light, for his direct, eloquent realism, and for his unique sensitivity to modern American life. He excelled as a painter in oils, as a watercolorist, and as a printmaker, and this exhibition presents his greatest work in all three media. The assembled art includes some of Hopper's best-loved images as well as seldom seen works of extraordinary quality and power. A group of paintings and prints from the 1910s introduces his signature subjects, and reveals his beginnings as an artist influenced by both the American Ashcan school and a fin-de-siècle sensibility to which he was exposed during student years in Paris. The core of the exhibition is dedicated to the mature, highly original images for which he is justly famous: majestic Maine lighthouses; Manhattan apartments, restaurants, and theaters; and the old-fashioned houses of Gloucester and Cape Cod. Hopper's career spanned six decades, and in his epic late paintings, created during the ascendancy of abstract expressionism, he remained a staunch realist, his style marked by increasing simplicity and austerity. The 264-page, fully illustrated exhibition catalogue, with 170 color and 15 black-and-white illustrations, includes essays by exhibition co-curators Carol Troyen, the Kristin and Roger Servison curator of paintings, Art of the Americas, Museum of Fine Arts, Boston, and Judith Barter, the Field-McCormick Chair of American Art at The Art Institute of Chicago, and others.